connected with your mobile audience while on the go. Great social media profiles are created with intention to include the best tools and tactics available for engaging to your potential customers and driving business results through organic conversation. Big Media will provide you with the content and the tools you need to create an optimal environment for engagement like articles, blogs, pictures, and video, etc. We will build a community on your behalf, create social media programs that present compelling business stories, and create an optimal environment for viral content. Allow us to help you achieve virility. Engage us and we will create your next BIG social media program. 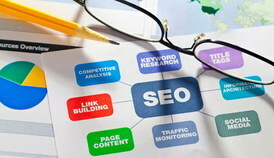 SEO will help you rank highly and get found in web and mobile searches by customers who are already searching for you. However in this digital age, smart SEO and Social Media Marketing can make or break your online reputation. Trust us to help you rank using On Page SEO, Off Page SEO, and a few little known but reputable profile tricks to keep the news you don't want shared buried under a ton of positive news. 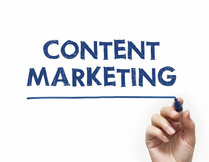 Content Marketing helps clients achieve their overall marketing goals through storytelling. The purposeful creation and distribution of relevant content will make you stand out from your competitors. And we will help you create a compelling and authentic story, make that story travel, and reap sweet rewards in return on investment. Where are your web visitors coming from? Are you reaching a target market that is relevant for your business? How are they interacting with you? Where are your sales coming from and how can you increase them by converting more clients to customers on your web site? Are your conversions being captured accurately? At BIG Media Agency, we measure everything. We can help you tell the all-important story of success for integrated marketing campaigns better, stronger and with more resonance. We will help you make your data BIG. ​to your site. Learn more about how we can help you secure those media advertising opportunities. Copywriting can make or break a project, a strategy or a product. At Big Media, we create brand identity through memorable words and experiences that make your business invaluable to the clients you serve. Allow us to employ word odysseys that help you capture your customers' attention and we will make your brand bigger than you ever imagined through copywriting. Public Relations is about more than just alerting the media. It is about managing the relationship between your business entity and reporters, bloggers and influencers who have the ability to broadcast your message on their media platforms. Find out how we can help you use earned media to drive traffic to your business. Big Media will do more than just market your event. We will create an ecosystem for the successful engagement of the public with your brand. This kind of strategy goes beyond making people show up at your event to making them fall in love with it and attend your events each time you have one. We ​will provide you with an online strategy, an offline strategy, a street team to pass out branded materials, go-models to sport branded wear and more. Our BIG results will equate to BIG BUZZ for your business. In today's technology-crazed age, a picture is worth more than a thousand words. It may be worth 10,000 hits on Google if it indexed properly. And a video may be ​worth 10 million views on social media if it is engaging enough. Your marketing and communications strategy should be laced with opportunities for visual storytelling. Think of photos and videos as the icing to your campaign cake. Our expert photographers and videographers will tell your story with grace, style and precision, and you will love your BIG Media results! You're walking down one of your favorite streets - Antique Row - and you hear romantic music wafting in your direction. As you turn the corner, you see that a pop-up symphony has magically appeared outside of your favorite coffee shop. You stop to listen, with other passersby, and enjoy a branded cup of "joe." This kind of experience will leave visitors to your event fulfilled - both with the copy and the memory of the event and your company. 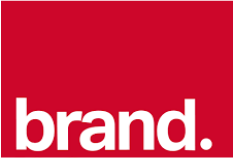 We can help you create brand loyalists through guerilla marketing and the element of surprise. Video Marketing Campaign as low as $4,495. Covers story-line, video shoot, editing, DVD reproduction, YouTube set up and more.